- The Staten Island Advance has a nice story online on Hulk Hogan helping out victims of Hurricane Sandy. The family lost all their wrestling memorabilia, which included autographed Hogan merchandise. By way of Hogan&apos;s new beach store, the family was able to contact Hogan and he sent them new memorabilia. You can read the article at this link. 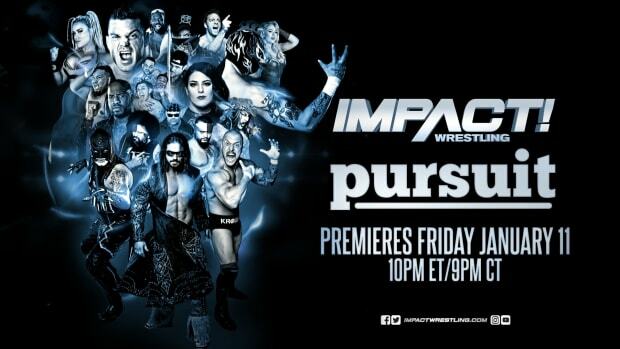 Preview Thursday&apos;s IMPACT WRESTLING broadcast at 8/7c on SpikeTV! If you can&apos;t watch IMPACT on Thursday night, make sure to set your DVR to record all the action. - The countdown continues to December&apos;s "Final Resolution" event, featuring Jeff Hardy vs. Bobby Roode for the World Heavyweight Championship! Both Hardy and Roode will be on the huge broadcast - what will happen when champion and challenger go face-to-face? -Thursday&apos;s IMPACT also showcases the return of CHAMPIONSHIP THURSDAY! X Division Champion Rob Van Dam will defend his title on the broadcast - who will IMPACT General Manager Hulk Hogan select to face RVD? Tune in and find out! -Last week, Austin Aries dropped a bombshell on Hull Hogan with his accusation about his daughter, Brooke Hogan. How will Hulk, Brooke and Bully Ray react this Thursday night on SpikeTV? Is Aries ready for the potential war he just started with Hulk and Bully Ray? - Did second-generation star Wes Brisco pass his TNA GUT CHECK? After his tryout match, Brisco will face the judges on Thursday&apos;s IMPACT! Will Brisco realize his dream of earning a spot on the roster - or is it back to the proving grounds for the young star? -Plus, it&apos;s a huge tag team war on IMPACT as "The Phenomenal" AJ Styles teams up with "Cowboy" James Storm to take on Christopher Daniels and Kazarian!